So, you’re thinking of a cruise vacation with the kiddos. Two Sisters Travel is here to give you all the insider tricks to planning the perfect getaway. Cruising is an easier way to see the world. It’s far less intimidating than hopping on an airplane traveling from country to country, or island to island. You only have to unpack once. And there are special spaces onboard just for mom & dad, and even the kids. 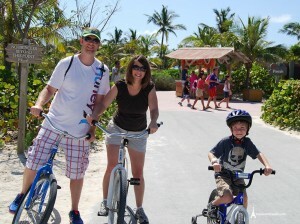 These are a few of the reasons cruising can be the ideal vacation for families. Here are our top 5 tips for planning the perfect family cruise vacation. 1. 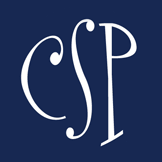 Finding the right cruise line. Think all cruise ships & cruise lines are created equal, think again! 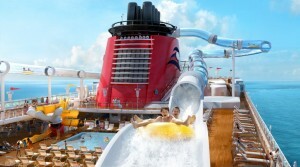 Royal Caribbean, Disney Cruise Line, Carnival, Celebrity, Princess, and the list goes on. All of these cruise lines cater to different personalities, vacation preferences, & even some are specialized in the destinations they visit. 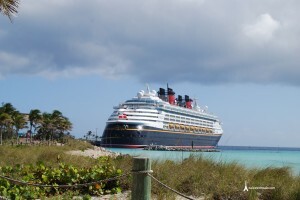 Personally, Disney Cruise Line is my favorite cruise line for families. 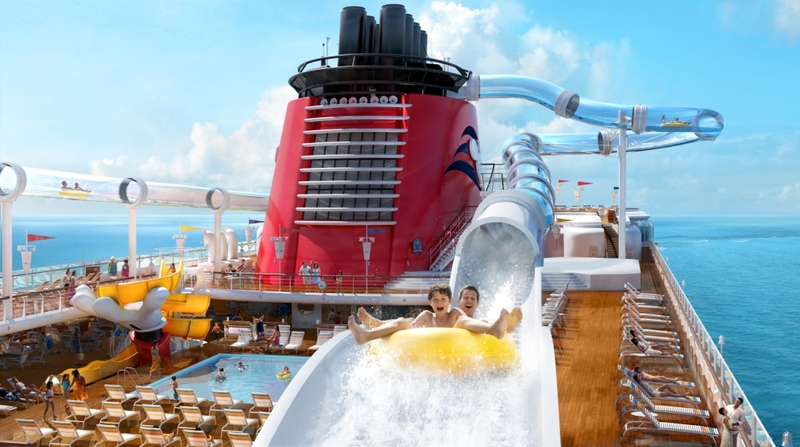 Their ships were designed with split bathrooms that have bathtubs, offer world-class family entertainment, and of course your favorite Disney characters. 2. Choosing the perfect cabin. Interior vs. Balcony? Forward vs. Aft? When you’re booking a cruise you’ll quickly learn that the cabin choices seem endless. I suggest you start looking only at the cabin types that will accommodate your family size. Keeping in mind that most staterooms sleep up to 4, and only limited cabins will accommodate 5. If you have a larger family you’ll need connecting cabins. Then you can choose a cabin based on the view, location on ship, etc… which are solely personal preference. This is where working with an experienced travel agent comes in handy… Two Sisters Travel helps you weigh out all of the options choosing the best fit for your family. 3. Cruising with Allergies & Special Needs. Cruise lines are generally very accommodating with specific food requirements & special diets, some even have a department dedicated to guest dietary needs. The same goes for with other special needs, like limited mobility, etc. 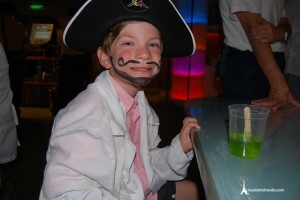 And just recently Royal Caribbean has partnered with Autism on the Seas becoming the first autism-friendly cruise line. 4. Deciding how long to cruise. This isn’t just about how many nights you’ll be onboard the ship, the length of your cruise will dictate the ports of call that you’ll visit and the type of ship that you will sail on. Sailing at top speed most cruise ships travel 25-28 mph. This isn’t that fast, so it means that shorter cruises simply can’t cross as much ocean and will only visit ports of call that are closer. And as a rule of thumb the newer ships (with the latest onboard activities, features, etc) don’t sail the shorter itineraries. 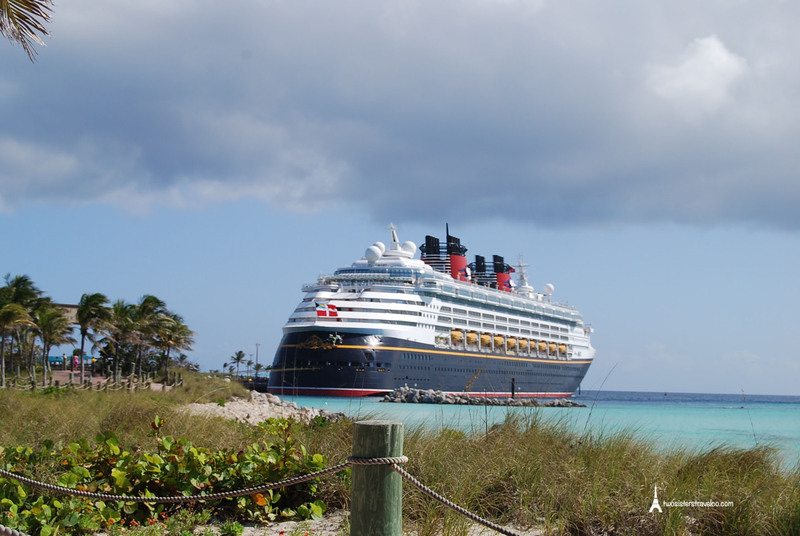 Disney Cruise Line is the only exception to this… the Disney Dream is the second newest ship in the fleet and currently sails a 3 or 4-night Bahamian itinerary. 5. Making the most of the cruise. When you choose the right cruise, you’ll often disembark saying “ I wish there was enough time to see/do/experience (fill in the blank)”. Before boarding book spa appointments, shore excursions, etc… the less decisions to make while on vacation equals a more relaxed trip! And don’t miss out on the formal nights… just be sure to choose a dining time that fits your daily routine. Now who else is ready to go on a cruise? Two Sisters Travel makes the vacation planning easy, not overwhelming. And it’s the same price as booking online! We don’t plan just cruises either… trips to Disney, Universal, all-inclusive resorts, Europe. Get a no-obligation vacation quote now and start planning your next getaway! Smarty Giveaway: 1 month of dance classes at Jami Masters School of Dance, a $75 value!